John Beardmore was William and Mary’s 6th son. 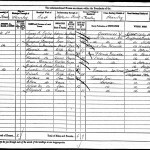 He was born at Audley on November 2nd 1792 and married Eleanor Luckcock on February 10th 1812. 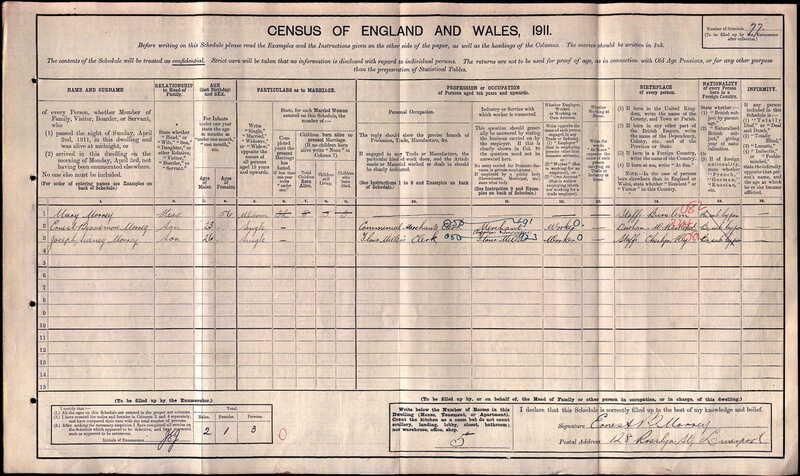 Eleanor was born in Shropshire and she was twenty years older than John. Eleanor died in 1859 and John died in 1873. 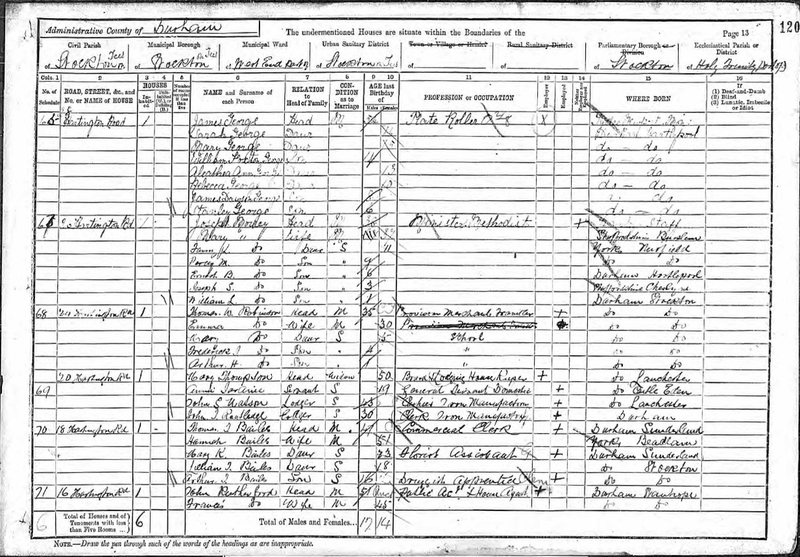 John and Eleanor had three sons: Thomas (born 1814), Benjamin (born 1818) and Hamlet (born 1831). Thomas died unmarried; Benjamin married Harriet Thomas and Hamlet married Ann Jones. 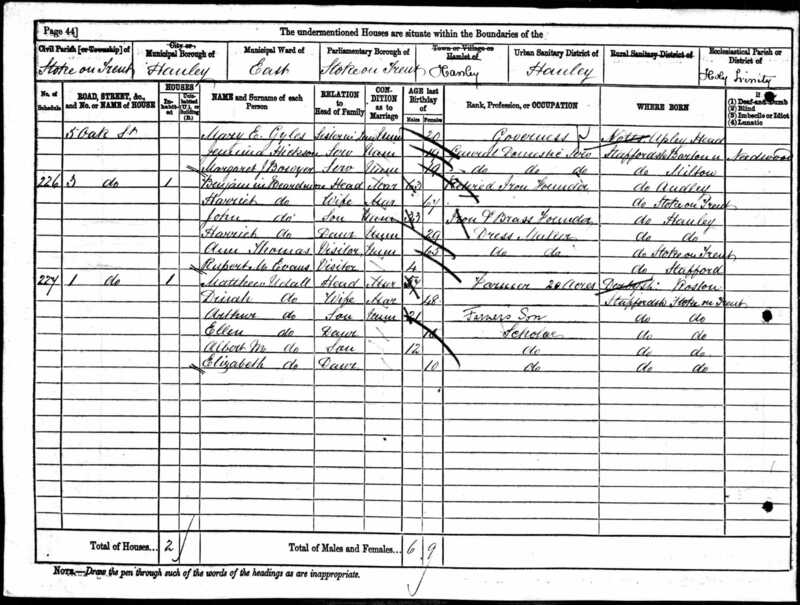 The 1851 and 1861 census reports show John, Eleanor and Hamlet living in Mile Street Cobridge, with Benjamin, Harriet and their son John next door. John senior and Benjamin were working together in the Hallfields Foundry. 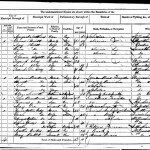 Benjamin and Harriet had a son John and a daughter Harriet. John was John Beardmore, Iron and Brass Founder of Hallfields Foundry, Hanley. 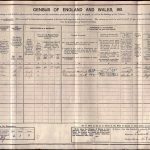 In 1905 he wrote to George Beardmore, Registrar of Births and Deaths, Hall Croft Kingsley seeking help with the family history and passing on a story about his great grandfather William. It was also this John who wrote to his nephew Edward Harry, Frank’s brother, in 1924 about his grandfather George’s brother Thomas. 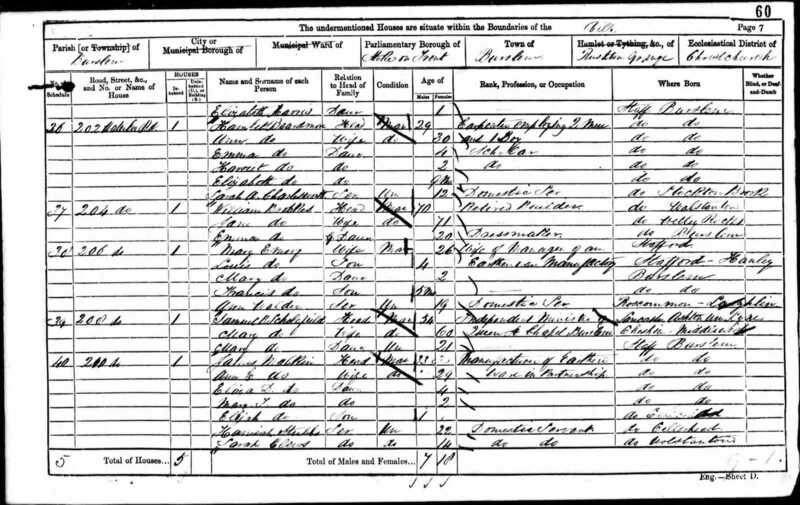 Hamlet and Ann had four daughters: Mary (born 1854), Emma (born 1857), Harriet (born 1859) and Elizabeth (born 1860). In 1861 they were living at 202 Waterloo Road Burslem. Hamlet was a carpenter, employing 2 men and 1 boy. 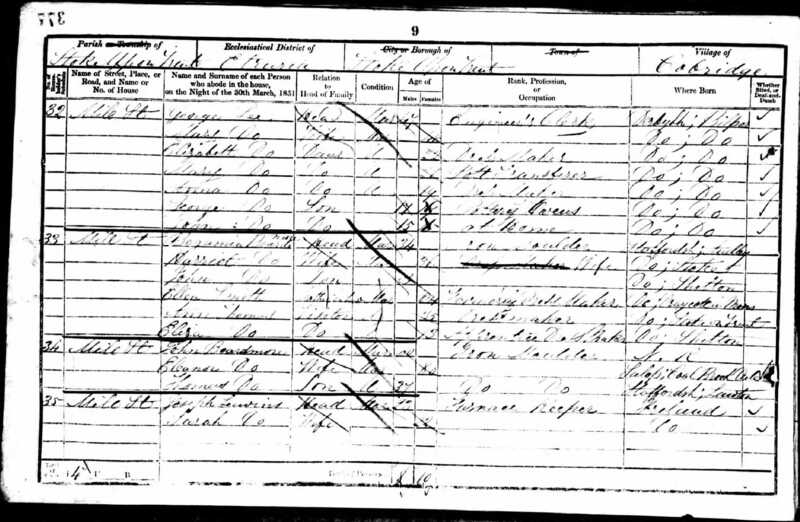 We’re not sure what became of Hamlet, but in 1871 Ann and her two eldest daughters were living with Ann’s mother. 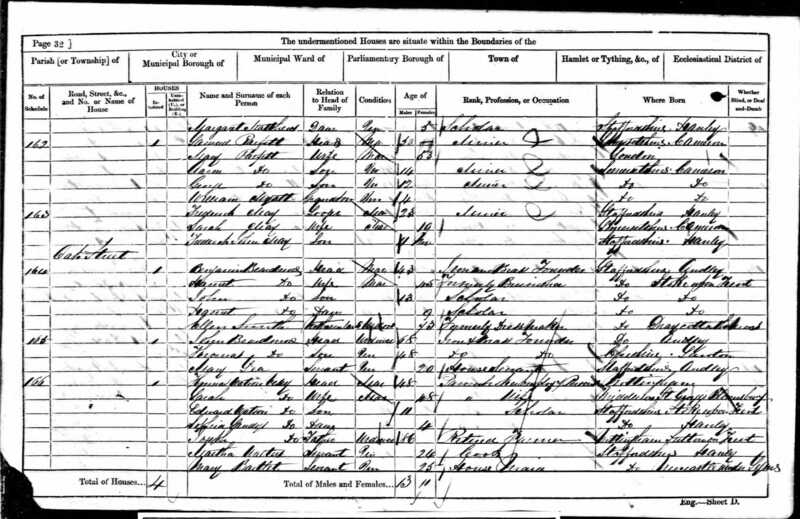 We did find a Hamlet Beardmore of the right age who died in Lambeth in 1900. We know quite a lot more about Mary, courtesy of her great granddaughter, Sandra Morrey. 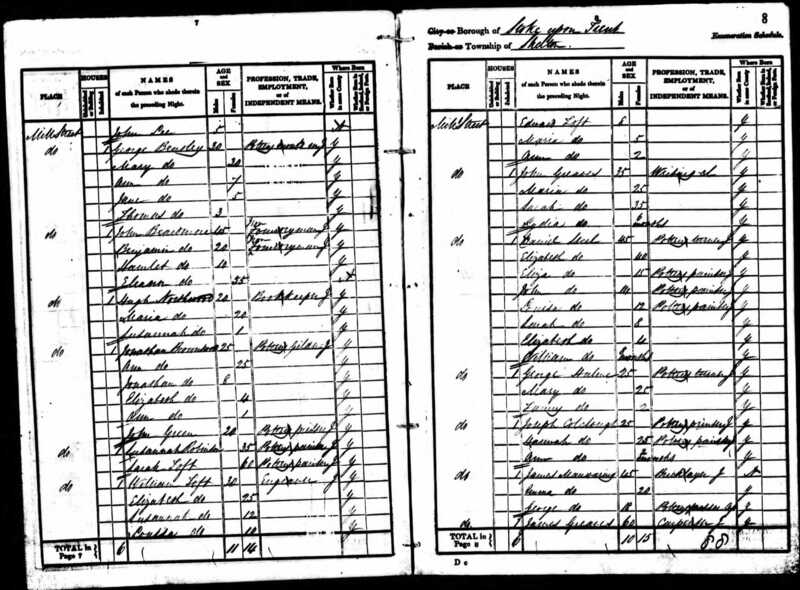 Evidently Mary married the Rev Joseph Morrey at Bethel Chapel Burslem on June 15th 1878. 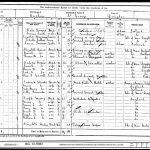 They had eight children one of whom was Sandra’s grandfather: Joseph Sydney Morrey. 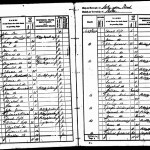 Mary and Joseph moved around a bit: In 1891 they were living at 67 Hartington Road Stockton in 1891 with daughter Fanny (born March 6th 1880) and four sons Percy Millward (born June 14th 1881), Ernest Beardmore (born January 1st 1885), Joseph Sydney (born July 16th 1887) and William Lawrence (born April 29 1890). By 1901 the family had moved to 7 Woodbourne Square in Douglas Isle of Man. 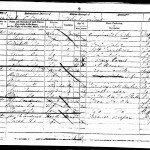 Joseph died in Harlesden Middlesex on May 23rd 1910. 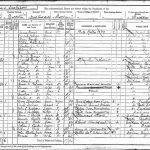 By the time of the 1911 census Mary was living at 128 Rosslyn St, Liverpool with sons Joseph Sydney and Ernest Beardmore. Mary died on August 6th 1941. 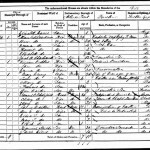 Mary and Joseph’s son Joseph Sydney emigrated to Canada in 1911. 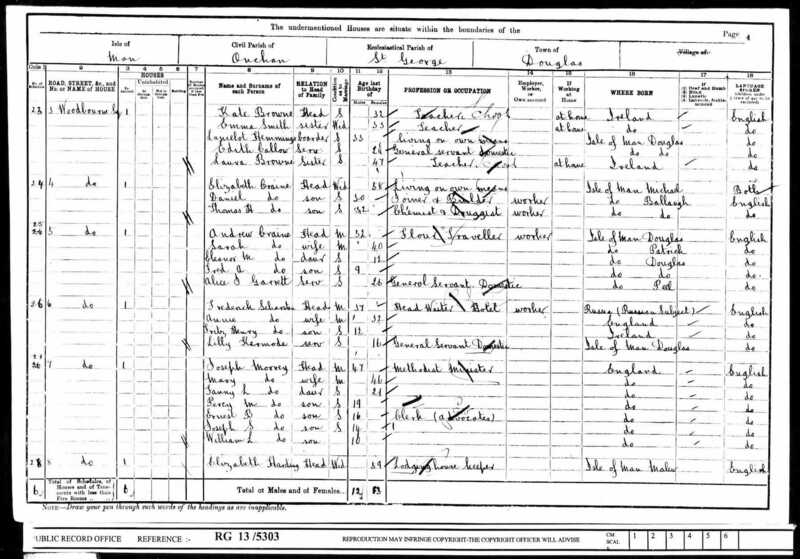 He may well have sailed from Liverpool with his newly married brother Percy Millward and Percy’s wife Lottie who are recorded as arriving in Quebec on June 17th 1911. Joseph Sydney returned to England to fight in the Great War. He met Eliza Williams on leave and they were married in 1917 in England. They back moved back to Canada in 1919 where Joseph Sydney became prominent in the mining industry in Manitoba and Ontario. They settled in Cobalt Ontario where they had three sons: Sydney George (born August 5th 1920), Joseph Edward (born June 29th 1923) and William Beardmore (born September 8 1926). Sandra Morrey, one of Joseph Edward’s three daughters, kindly provided all this information which comes from the Morrey family bible.